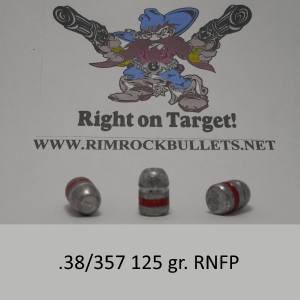 CB .38 125 gr. 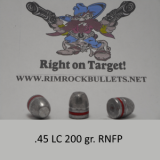 RNFP Nice light bullet for low recoil. (BHN 12) 6 boxes will fit in a USPS flat rate box. 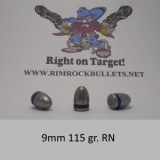 I loaded 500 of these with Unique and BE-86 and shot them through S&W Mdl 10, 640, 642, and 65 revolvers. 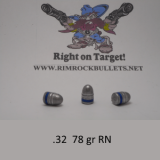 They are easy to load and accurate. Frank: Thank you, I am looking for a Rossi 92 to come in some time soon. 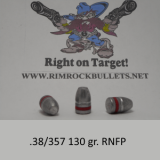 Any recommendations on how much Bullseye to put under that 125 grain RNFP?. 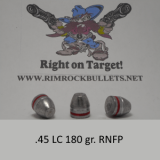 I am new to hand loading and couldn't find anything other powder here locally, had to go 35 miles out of Austin to find the Bullseye. The 158s have good load data in the Lyman book we have at work. Thanks again.